So, what is Independence Day? Independence Day occurs on the 4th of July! It is a national holiday that celebrates America’s independence from Great Britain. However, sometimes this gets lost when people celebrate because most people focus on what they are going to do on the holiday, like going shopping or attending family barbecues. In addition, a lot of people are simply not aware that the flag of the United States often times gets displayed in different ways that offends proper etiquette. For example, did you know that “the flag should never be used on anything for advertising purposes in any manner whatsoever?” (4 U.S. Code § 8(i)). 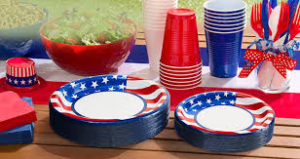 This includes representing the flag on paper cups, plates, napkins, or any other thing you can think of. That means it is probably wise to stay away as much as possible from buying products that have a representation of the flag all over it. So, what can you do to avoid possibly offending the flag when you least expect it? Take a look at the U.S. Flag Code and read the guidelines (http://www.usflag.org/uscode36.html). You would be surprised to see how many things you can learn about the proper etiquette and respecting the flag of the United States. By being aware, you can save yourself a lot of grief and headache from unintentionally disrespecting the flag. 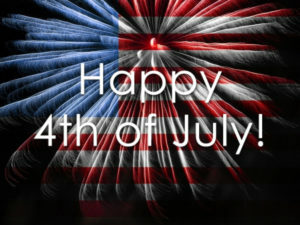 Last but not least, I hope you all had a wonderful 4th of July!